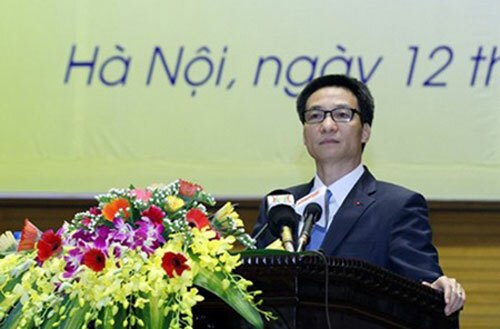 VietNamNet Bridge – The quality of the press in Viet Nam was not high, despite the number of publications and outlets, Minister of Information and Communications Nguyen Bac Son said at a meeting yesterday (Nov 12) to assess implementation of the revised Press Law issued in 1999. Overlaps in both content as well as targeted readers were discovered among several newspapers, Son said. The country now has 838 press organisations with 1,111 products, including 199 newspapers and 639 magazines; 90 on-line newspapers, 207 news websites; and 67 radio and television centres. Poor management of press organisations was blamed for the incorrect reporting of news, he said. And, he added, when the errors were corrected, they were often not placed in eye-catching positions. Deputy Minister of Information and Communications Truong Minh Tuan said that this caused dissatisfaction for the person affected. Tuan said that several online newspapers repeatedly reported sensational news or gossip to raise readership. Others often focused on negative news, such as describing criminal behaviour in detail. Another shortcoming was that some websites re-posted articles from online newspapers without permission, he said. There were too many newspapers and magazines because each ministry and each sector had its own newspaper, said the editor-in-chief of Viet Nam Investment Review Nguyen Anh Tuan. This was wasteful, he said. Deputy Minister Tuan said the ministry would take action against any news organisations that did not abide by the Press Law. Meanwhile, Deputy Prime Minister Vu Duc Dam said the press had brought news to every corner of daily life. It was distributed within the country and to the world, he said. The eighth National Assembly approved the Law on Press in 1989. In 1999, the 10th National Assembly gave the go ahead for the revised law.